Shuriken any one I am an avid martial artist. I have been in Chuan Fa Pai Kung fu for over 20 years. 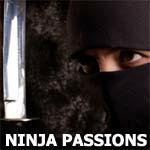 bobbytranspass is not a member of Ninja Passions.